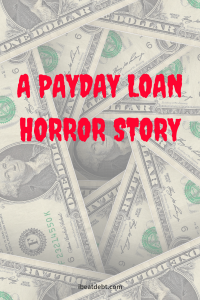 Today I am able to bring you a story of David who was unfortunately caught in the vicious circle that is taking out payday loans. He has kindly agreed to share his story as a warning to anyone who is considering taking out a pay day loan. It is very eye opening. My name is David and I had an odious and devastating relationship with payday lenders for nearly 5 years. I was forced to take austere measures to save myself from what I can only describe as complete financial collapse and I am thankful to my current bank and a particular high street lender for saving me from the very brink of it. Fundamentally one must imagine their credit record as a spiral staircase that leads to a variety of platforms, with each one offering us a plethora of borrowing options. Let’s say that this staircase has a thousand steps and a new platform of lenders exists every 250. Let us also say that the majority of people begin their journey on the 500th step, giving you access to a smorgasbord of equitable credit cards, store cards, unsecured personal loans, and the like. However, there is a locked gate denying you further access that will only open after you have obtained your first account of credit, allowing you to progress to the 501st step and beyond. This way of working your creditworthiness is fine, until one arrives at a point where they find themselves out of work (for an example) and they can no longer pay their premiums any more. You might plead your case to the bank, or creditor that you have business with, but ultimately if they are not getting their money back, they will not hesitate to chase you up and push you off of this hypothetical staircase, or any of its platforms, without remorse. Now that you have hit rock bottom with your credit file you must begin your journey up those one thousand steps once more, except this time you are starting at number 1, as opposed to number 500. With this analogy in mind, you can see why it takes a long time to build your creditworthiness up, but it takes mere seconds to decimate it entirely. The danger of being at this point is of course the disturbingly avaricious and predatory creditors who lurk in this illusory darkness, begging you to step into their trap, because at the end of it all what they have to offer is little more than that. I am of course dressing this idea up to sound like something from a Hollywood horror movie, something that is far from the reality of it simply being a series of computers ticking away in the background. The majority of people I know have never even endeavoured to take a look at their credit file, except for those whom actually have need to, like myself. Then came the question of borrowing the money: I couldn’t ask my parents; I already owed them enough. There wasn’t a single reputable lender in the land who would tide me over due to the state of my credit history. Then, after an hour or so of panicking, I turned against everything I had ever said about the exorbitant interest rates Wonga would advertise on television with those stupid puppets drivelling on about ‘sliders’ and opened up Wonga’s website. £100 borrowed for less than a week would cost me just £7! That’s nowhere near as bad as I had previously imagined. So, I signed up, agreed to all the necessary documents and within 2 hours my bank balance was looking £100 healthier. Then pay day actually comes, and it slapped me in the face rather hard when I realised that the reason I had to borrow is because my total monthly outgoings were £100 more than what I could afford. This month would now be £200 more than I could afford due to the added expense of the Wonga loan. So began the cycle, where I then borrowed £200 to cover those costs, and then £300 the month after, and so forth. 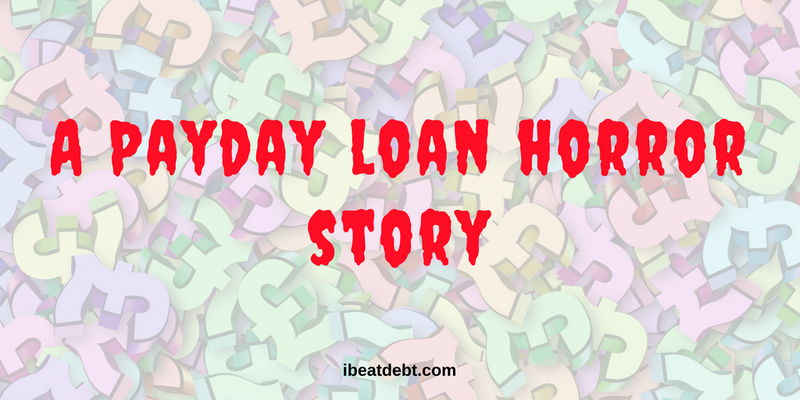 During the middle of 2016 this had spiralled so far beyond the control of any reason, I found myself at the worst of the borrowing, 5 or 6 different lenders and grabbing the best part of £2,500 in pay day advances. 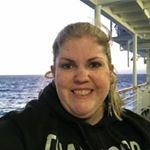 It had almost become a norm, that my actual salary (which by this point was enough to cover the full outgoings of the payday loans) and then I would need to borrow against the succeeding month’s wages just to pay my actual bills, rent, and living costs. The problem here being that you’re always in a negative. This could have potentially gone on forever, if it weren’t for the overbearing fact that it just is not sustainable. Eventually, no amount of payday loans would cover the full cost of my outgoings. I had around 110 payday loans in total between 2012 and 2017 before I was able to fully decapitate the 7-headed hydra of borrowing to pay back payday lenders, by securing a personal loan that allowed me to consolidate (the majority of) my debts. This is a position in life that I wouldn’t want to wish upon my worst enemy; it was absolutely crushing. I really don’t recall a single day where I was not worried about money; I think it is safe to say that (although not professionally diagnosed) I was suffering from depression because of it. I recall getting in my car one day, just about to set off for work and like many other people thinking ‘I must get petrol’, but in the back of my mind there was always a tiny little rat gnawing at me about money. I open my banking app on my phone and a week before I get paid I haven’t even enough to buy lunch, let alone put fuel in my car. So I instantly rush to the only option I have known in many years, I go to Wonga, but since they were the most prominent in the irresponsible lending scandal, they were no longer willing to lend to me. Next stop is Quick Quid, and I already have 4 active loans with them. Now what do I do? Well, I casually flicked through as many pay day lenders as I could find on Google until I realised that I had literally exhausted every option with pay day lenders… now what? It was finally time for me to attest to my failings and to start grovelling to acquire some help. Almost inconsolable at this point I rang my bank and explained the state of my affairs, and although they were unable to directly help me, they put me through to a sister company of theirs, a high street lender who listened to my case and agreed to give me the credence to put my life back on track. I am thankful to say that this debacle is long since in the past but there will always remain a grievance in lieu of this tribulation. A year and a half on, now settled in a happy relationship with a child on the way, I am searching alongside my significant other to secure a mortgage to buy our first house. Unfortunately, my history with payday lenders is still holding my credit file hostage and even with the necessary savings I am struggling to find anybody willing to afford me that level of trust. I am of course entirely to blame for the position I found myself when the exigency for that very first, and ultimately ruinous payday loan became necessary, but the truth is that which they have all been apprehended with: they have operated on a fundament of irresponsible lending practices, and my desire to hold them accountable blithely sits hand-in-hand with my predilection for recompense. It was a radio advert that prompted me to research into claiming back interest and charges from payday lenders for irresponsible lending practices, but I did with a heavy heart, feeling as though I only had myself to blame for finding myself in such a dire situation. It was only when I stumbled across Debt Camel‘s page offering help and suggestions for claiming refunds on payday loans that I concluded that they were at the very least equally responsible, for the very premise that if they exercised a modicum of sensibility in their practices then I would never have made it past the third or fourth pay day loan approval. In hindsight it is difficult to not be so sententious about payday lenders, for at the very beginning of what would unravel to be half a decade of economic torment, they offered to provide a little financial support when no one else would touch me, but if you can go elsewhere then I wholeheartedly urge you to do so, for these companies are vultures preying on the weak and vulnerable. When I realised how much money I had borrowed over those 5 years, and the preposterous figures of interest and charges I simply relinquished to these companies it almost brought a tear my eye. Here is a summary of David’s loans and repayments he has made. If you’ve been affected by any of the issues David has raised, you can get free financial and debt advice via The Money Advice Service. Yup, it’s a lot of money, but I can see how it can spiral with the crazy high interest rates. These companies take advantage of people in a bad financial situation and allow it to escalate.